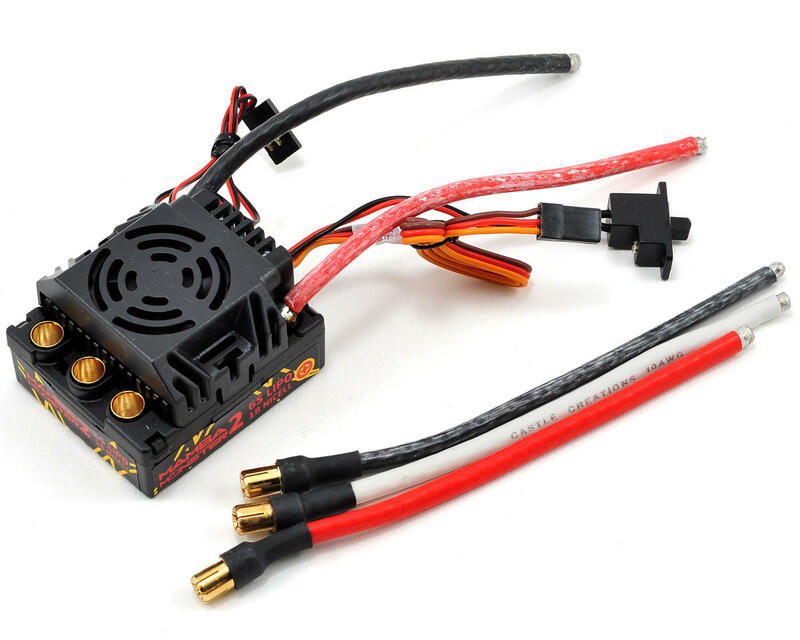 This is the Castle Creations Mamba Monster 2 1/8th Scale Brushless ESC. The Mamba Monster 2 is as mean as his older brother, but isn't afraid of a little water! That’s right; users can run their vehicles down a muddy road, through the morning dew, across some slushy snow or just about any other condition you may bash an 1/8th scale buggy or monster truck. Plus, the Mamba Monster 2 delivers all of this while retaining an astonishingly affordable price! 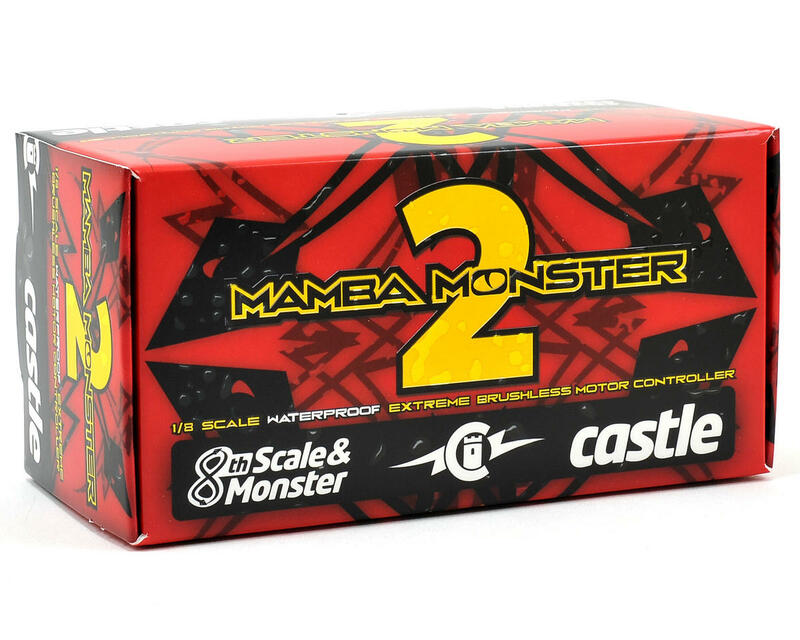 This makes the Mamba Monster 2 the ultimate 1/8th scale ESC when you want power and versatility at an unbelievable price. Mamba Monster 2 is intended for on-road, 1/8 buggies & truggies, and monster trucks running up to 6S LiPo and tipping the scales at up to 15lbs. The innovative case allows for fan changes if necessary. Solder posts now permit users to change battery wire length and direction as needed. As always, the Mamba Monster 2 offers industry-leading software functions and USB programming capability via Castle Link USB adapter. Remember, the fan is not water proof, so users need to remove the fan before they head out into wet conditions. Although Monster 2 and Castle brushless motors are waterproof, they can corrode when exposed to corrosive materials, such as salt water. Always rinse the ESC and motor with clean water after exposure to corrosives or dirt. While the motor and controller may be waterproof, Castle suggests users confirm that the rest of their vehicle, including the batteries, servos, radio and chassis are also waterproof before exposing them to liquids of any kind.